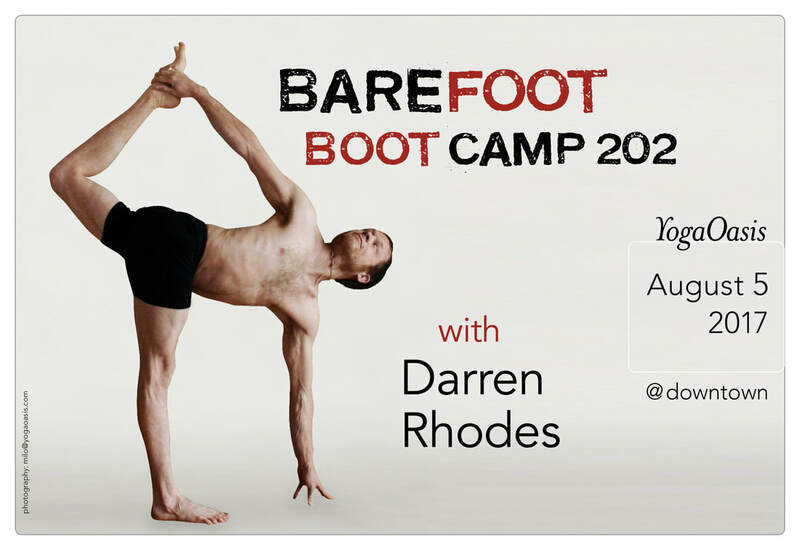 Barefoot Boot Camp 202 = 4 hours of Play and Power! This workshop moves at 50 poses per hour. It's a workout. It's a work-in. There are no instructions aside from the name of the pose in alignment with what B.K.S. Iyengar once said, "Eventually the name of the pose is the most advanced instruction." Not appropriate for students with any major limitations or injuries.